Writer-director Michael Pearce makes an impressive debut with this gripping Channel Island set thriller. Beast is inspired by his own 1980s upbringing on Jersey, where bogeyman tales of Edward Paisnel – the real-life ‘Beast of Jersey’ – haunted the island for years after his arrest. 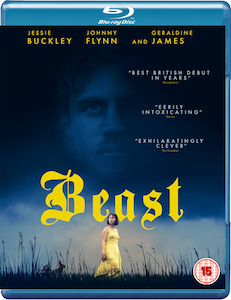 Rather than make a true-crime biopic however, Pearce instead uses this dark chapter in the island’s history as the jumping off point for Beast, his unique and ambiguous take on the serial-killer genre. Loosely riffing on the Starkweather/Fugate dynamic, responsible for inspiring so many films in the past, Beast tells the story of Moll (Jessie Buckley), an unhappy young woman in her late 20s, still living at home with her cruel and overbearing family. Moll is isolated and lonely in this small-minded satellite of middle-class Britain. She is controlled by her mother (Geraldine James) who treats her like she is still a child, whilst her perfect siblings live their perfect lives in peace. What dark secret is keeping Moll so beholden to these vile people? Then she meets Pascal (Johnny Flynn), a handsome outsider, with a touch of young Heathcliff about him. A natural outdoorsman, Pascal is a native ancestral islander. He himself is like the mythical landscape of the island, rugged and untamed. After the crushing confines of Moll’s stuffy home and stuffy family, Pascal represents a very attractive sense of danger, wild abandon, and freedom from oppression. These two outsiders are powerfully drawn to each other, and soon fall madly and passionately in love. But all is not well on the island. Someone is murdering young girls. 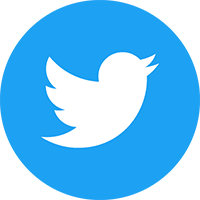 When the latest body is discovered, the eyes of this suspicious and close-minded community narrow in the direction of Pascal. His past indiscretions with the law, along with his status as an outcast, conspire to make him the prime suspect. When he is arrested, Moll is left alone and isolated to face the ensuing nightmare. But Moll is not the same put-upon and obedient young girl we first met. Her emotional awakening is changing her. Emboldened by passion, the real Moll – constrained by her family for too long – is emerging, and lying to the police to give Pascal an alibi is just the beginning. The film has a kind of woozy, dream-like quality, reflecting Moll’s increasingly fractured state of mind. Smartly playing with horror movie iconography, director Pearce teases the viewer with what this film could be, but keeps us guessing right up to the fascinating and ambiguous final scenes. Conjuring some startling images along the way, Pearce directs Beast with a slow-burning intensity, and playfully inverts the conventions of the serial killer genre. Jessie Buckley and Johnny Flynn are both on electrifying form. Buckley in particular is remarkable, delivering a sensitive and complicated portrayal of this raw, open-wound of a woman. In close up she transmits so much emotion through expression alone, hers truly is a face that belongs on the big screen. Following her breakthrough roles in War & Peace, and then Taboo, her performance here should certainly mark the start of an amazing film career. The blu-ray disc comes with an audio commentary with director Michael Pearce and lead actress Jessie Buckley. There is also a Film4 interview special with Pearce and Buckley.